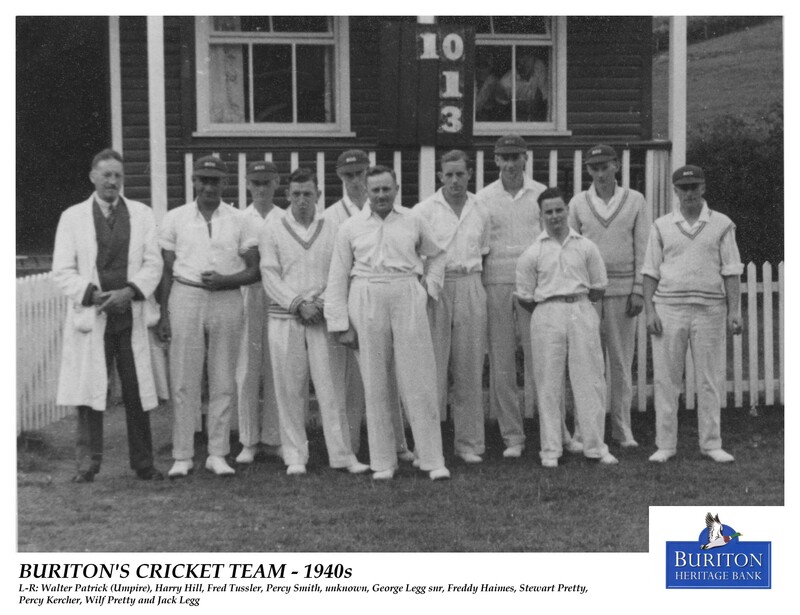 In the past Buriton had a very strong and successful village cricket team. But both the popularity of the game and player numbers fell, and at about the turn of the century the Club ceased to exist. But in 2006 the team was revived and fixture numbers were slowly increased over several seasons and from 2012 to 2014 the Club played some 20 matches each year. However in the 2015 Season Buriton Cricket Club suffered a further crisis with several regular players either injured or unavailable. In 2016 we only played a very limited number of fixtures. In 2017 we only played in the East Meon Six-a-side tournament and in 2018 we did not play at all. We continue to play a good game in the Five Bells! back: unknown, Che Evans, Alex Munday, Colin Mann (TfL Dinos), Steve Atkins, Frazer Hellyer, unknown, Mike Boyes. Front: Frankie Hayward, Peter Nixon, Jez Samworth, David Bradley.